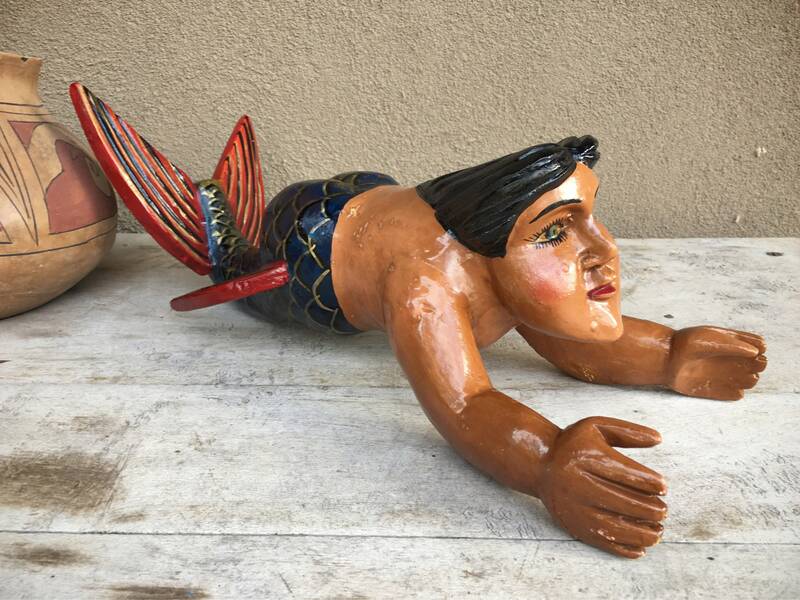 This wooden mermaid sculpture is recognizable as Nahua folk art from Guerrero, Mexico. These pieces are created in many forms. 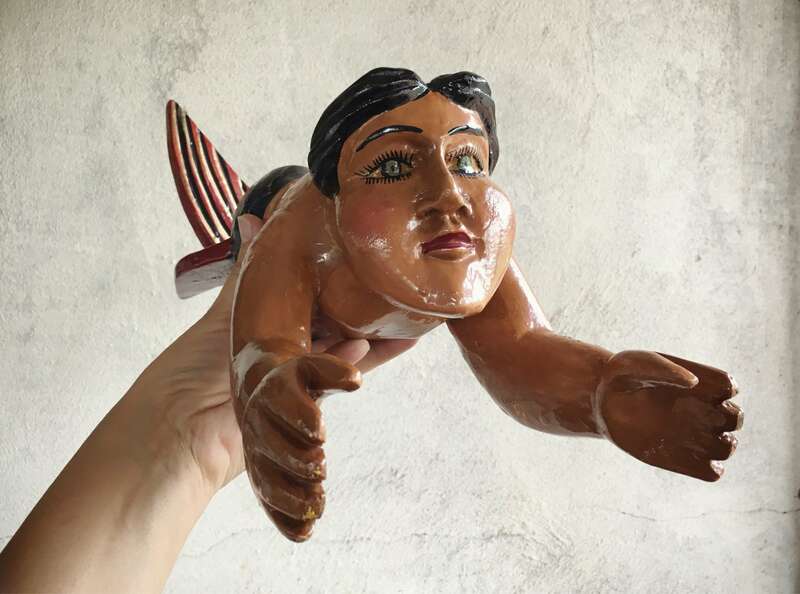 Often angels and flying angels, masks for ceremonies, and pieces like this--whimsical and almost nonsensical. 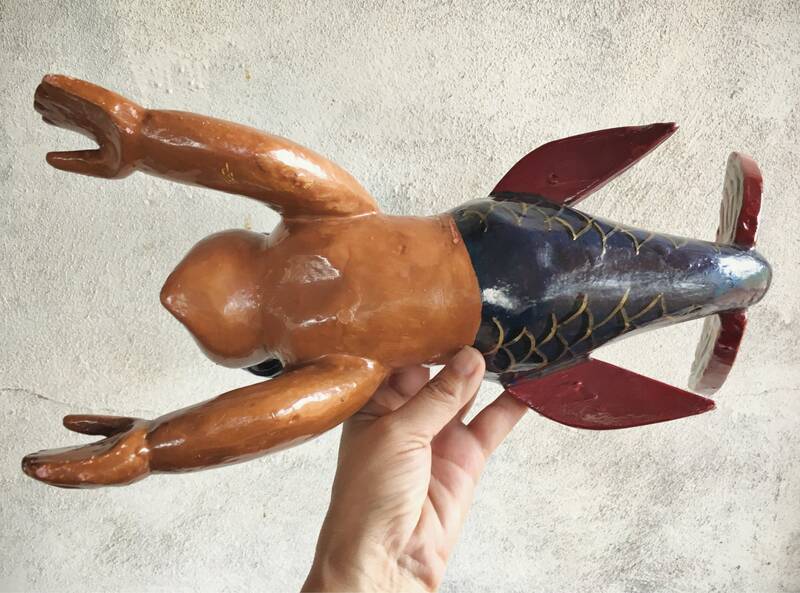 A mermaid, and all one has to do is hang a little eye hook in its back to turn it into a hanging sculpture, or set it on a table to be a landed one. 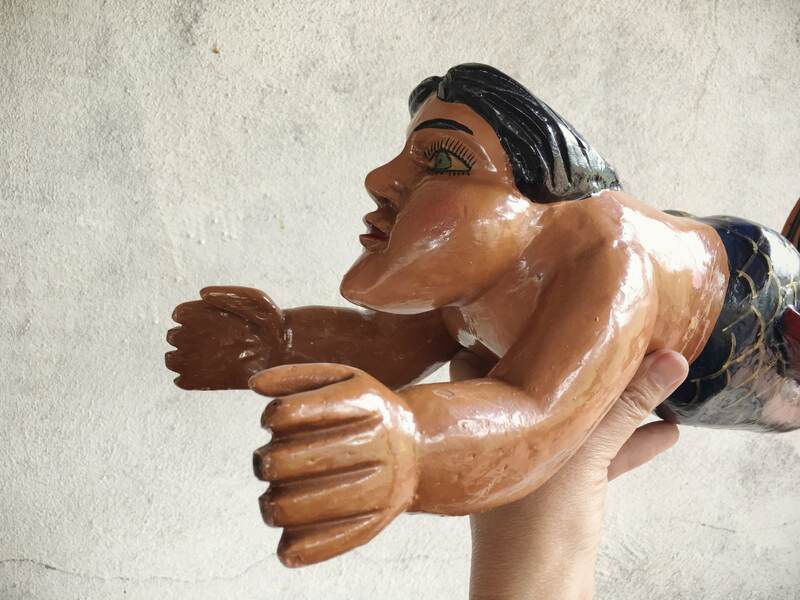 I remember talking to the artist who made it and telling him that it reminded me of our Late Night TV host Jay Leno, with that long chin. 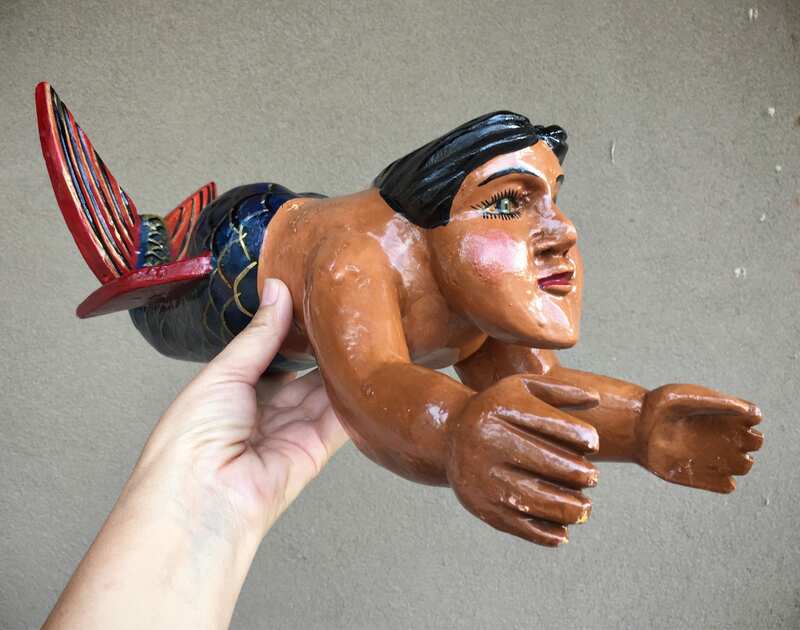 He didn't know who Jay Leno was, so since then I've called it my Jay Leno Mermaid. 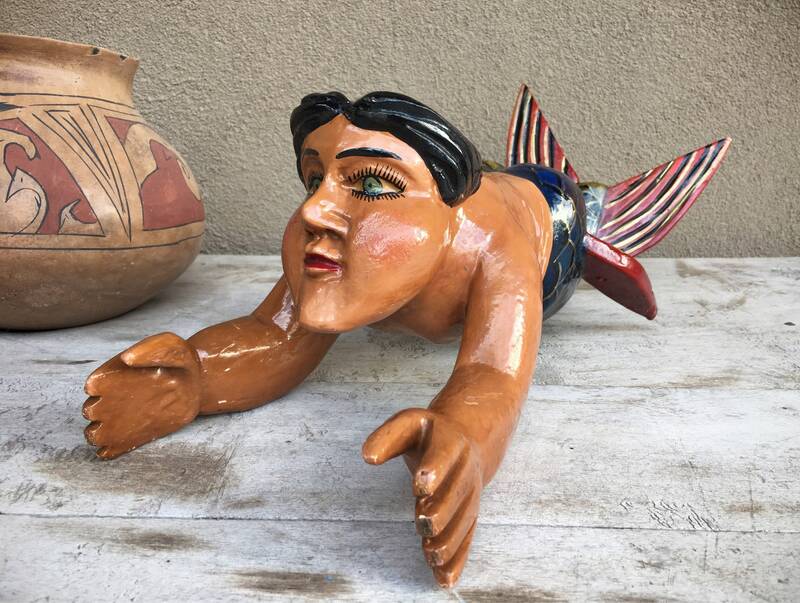 The statue measures about 15" across from outstretched arms to tips of tail by about 6-5/8" measuring across the hands, by 6-1/4" tall at the tail top. Note these are approximate measurements. 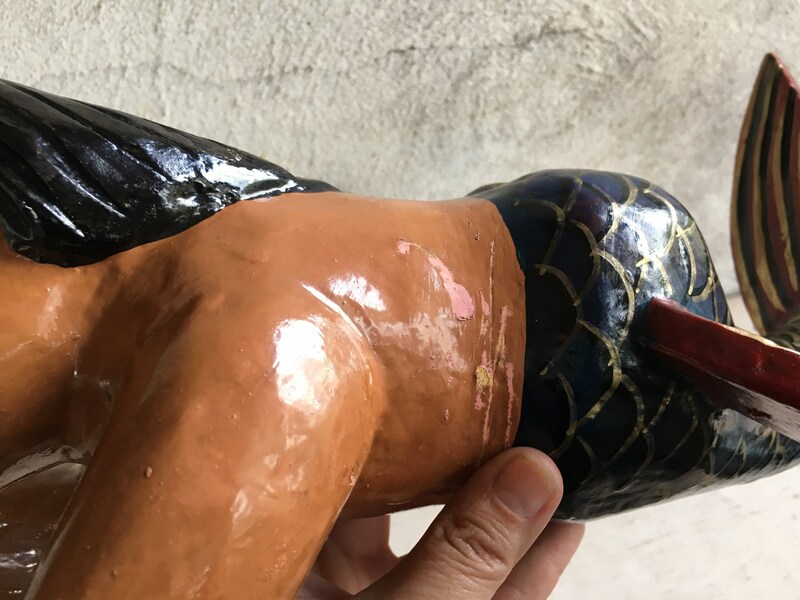 Has a high gloss glaze and spots where the top layer of glaze and paint have scratched off revealing lighter coats beneath. Those are simply wear from time. 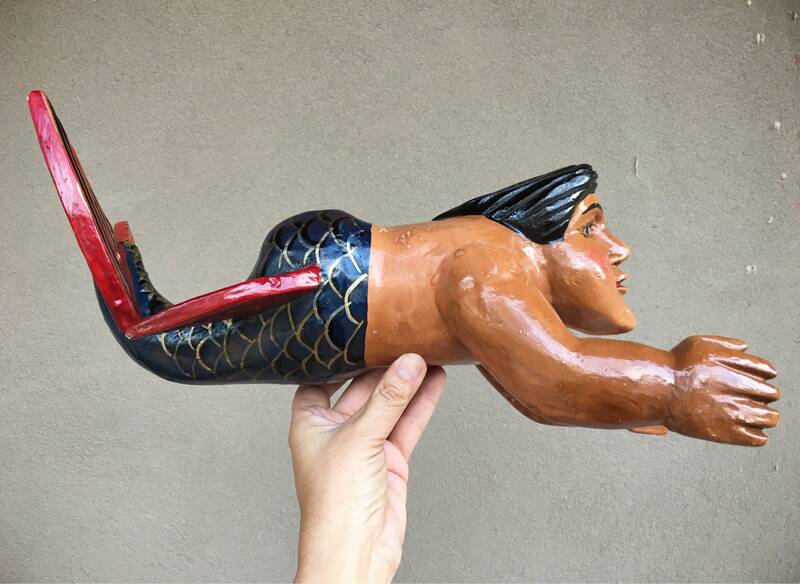 Absolutely charming piece of folk art, for the lover of mermaids or Mexico.